Hi, this is Romadlon time here. Time to do fasting. I will share something. 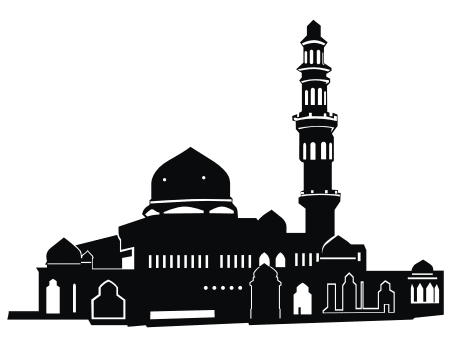 That is mosque silhouette vector. This is my job this day. The client order cartoon illustrator to me. He wants illustrate the deer with Muslim style. So, I decided to make some hat and Muslim shirt. For the background, I add mosque silhouette which is place to pray for Muslims. Sweet, I think I could use this in the future. ijin download ya mas ndop..
rncana mau ane pake utk stiker acara bukber bsk..